This contains spoilers up to chapter 112 (not much of a spoiler, but still). White Ichigo (a.k.a. Hollow Ichigo) appeared in the Hollowfication process, when Urahara had cruelly thrown Ichigo into a pit, and he is the Hollow part of Ichigo's soul (and power). It shows not only that Zangetsu is acquainted with White Ichigo, but also is in apparently well relations with him ("sorry to have bothered you"), and is also apparently able to summon and unsummon him ("send me back already"). How and why is Zangetsu (a Zanpakutō!) able to summon the Hollow inside of Ichigo? Shouldn't a Zanpakutō spirit and a Hollow Spirit be natural enemies? 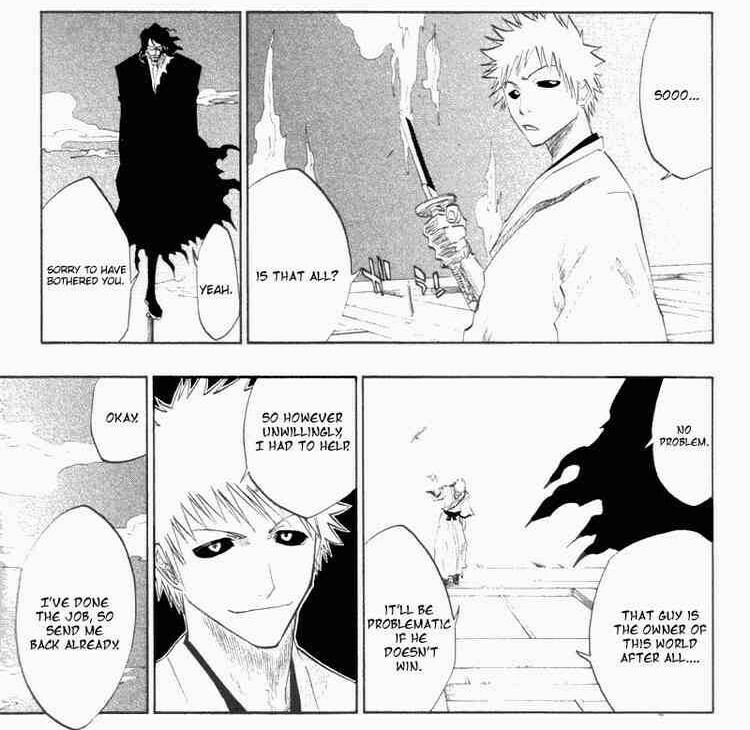 Both White Ichigo and Zangetsu are a part of Ichigo's being or soul. Hence, they can freely communicate with each other. The most important thing about Bleach power-ups is that they follow the basic principle of "know thyself" and thus, Ichigo himself is unaware of their true capabilities until he pays attention to them by training. A Zanpakutō is born with a shinigami and is a part of its soul. That's why a zanpakutō's personality and abilities differ among shinigamis as they are reflections of their inner being. However the hollow, white ichigo, is not a natural part of ichigo or any shinigami, although it becomes a part of its soul, the hollowfication process is not a natural occurrence like the zanpakutō. Their is a constant battle between these forces, as they each try to get the upper hand especially white ichigo who wants to control his body. You can see that the inner world of ichigo changes when one or the other has dominance, for example when the hollow has dominance zangetsu has a white kimono and the inner world also changes accordingly. When zangetsu is in control he is able to summon white ichigo to some extent, however in this specific case white ichigo is also willingly helpful because the inner battle happens at a crucial moment where ichigo is in a life and death battle with kenpachi, and neither of them can afford that ichigo dies as they are a part of him, hence white ichigo saying; "it would be problematic if he didn't win." Well if you look at it, in the beginning Ichigo was saved by Rukia and when Zangetsu came in, the spirits didn't know each other. He felt the hollow was a person who might just have ended up as a hollow and who needed help out. Who knows why he did it? I hope it was for the good or for the bad. We don't know. He is actually the real Zangetsu. The old guy in black is the manifested version of the king of the Quincy. They are basically like Zabimaru: they are two parts of the same soul. They also fuse together in the anime, but at the time Ichigo was in his inner world and not fighting against an opponent so he could not use their combined power. White Ichigo is Zangetsu. He was originally known as White. He was one of the very first attempted Vasto Lorde Arrancars by Aizen. When he was shot in the head by Ichigo's mother, who was a Quincy, he self-destructed and infected her soul. This caused her to go into a state called Soul Suicide. She was eventually stabilized with the help of Kisuke. And when Ichigo was born, White was genetically transferred over to Ichigo and took the form of his Zanpakutō spirit. His appearance changed to that of Ichigo, but with inverted colors. Whenever Ichigo turns into a hollow it is not actually a hollow form. It is actually Zangetsu taking over to save his life and Ichigo's. And White Ichigo's sole purpose isn't to devour Ichigo's body. The author just didn't want to give his backstory away just yet. Plot hole: Why couldn't Rukia and co. visit Ichigo with a gigai?